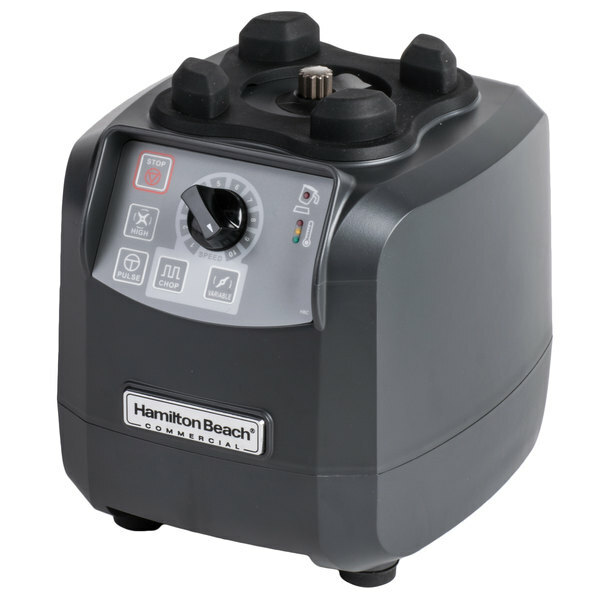 Puree, emulsify, grind, chop, and more with the Hamilton Beach HBF600S Tournant 64 oz. 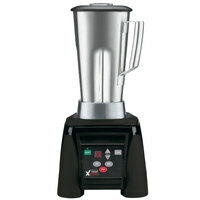 variable speed food blender. 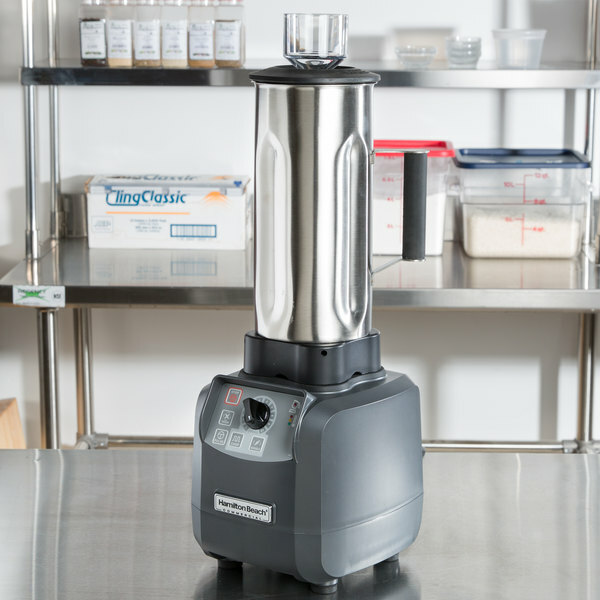 Designed to promote menu versatility in your restaurant kitchen, healthcare setting, or university foodservice application, this blender is made to take a beating. 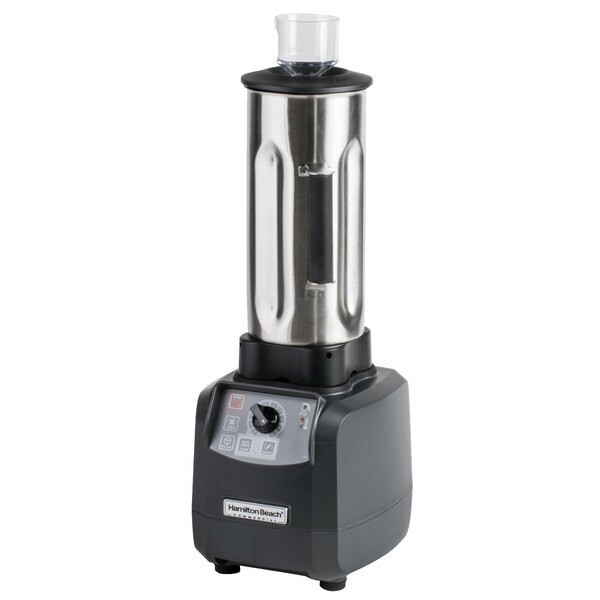 Its variable speed control and revolutionary Wave-Action blending technology ensure perfectly blended smoothies, salsas, purees, and other specialty menu items, while its 64 oz. 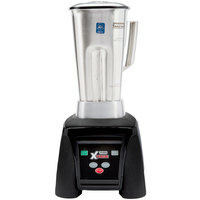 stainless steel jar allows you to prepare large batches when a high output is needed. 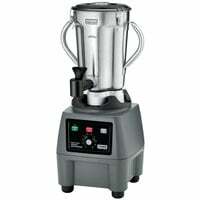 With standard safety features and a cleanable design, this Hamilton Beach blender will get the job done right! 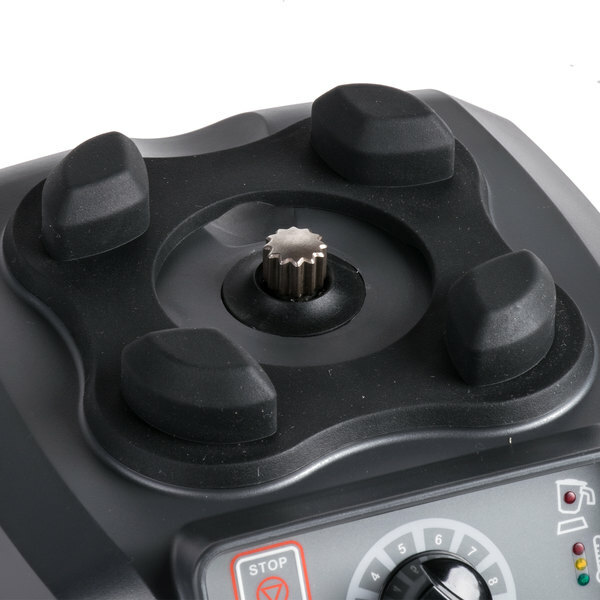 The 3 hp motor cycles between two speeds, low and operator-selected high, while the stainless steel blades quickly and effectively cut through foods. 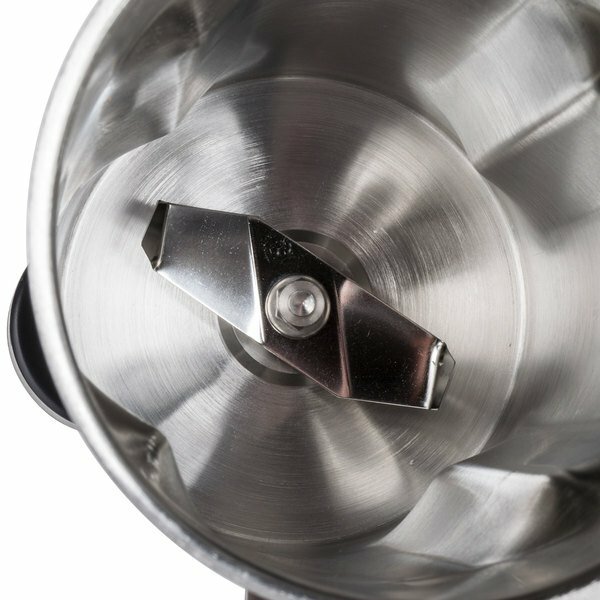 The durable blade design continuously forces your mixture into the blades, ensuring that there are never chunks of ingredients leftover at the end of the blending process. 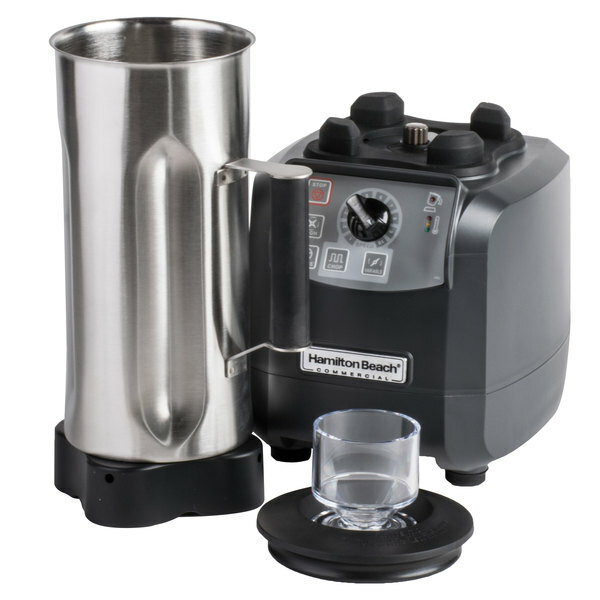 Instead of turning the food in a circular motion like traditional blenders, the unique Hamilton Beach Wave-Action system moves food up and out to pull ingredients from the top down for an even, consistent mix all the way through. This blender features a 64 oz. 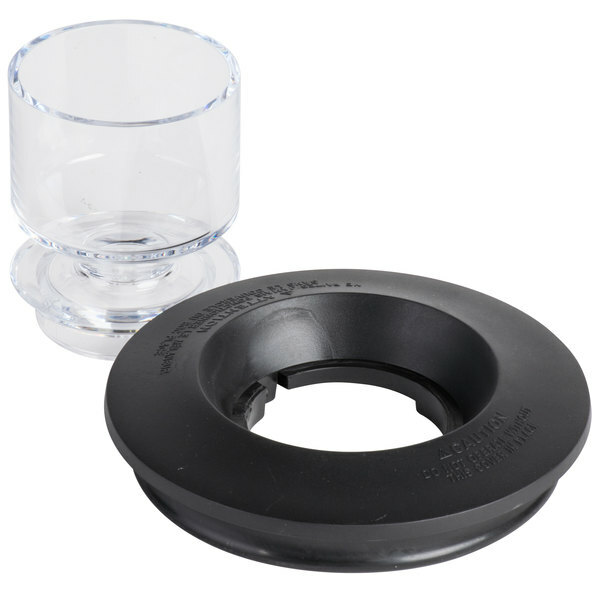 jar made of stainless steel to hold large quantities of ingredients at any time, and it comes with a locking rubber gasket lid to protect against leaks when in use. 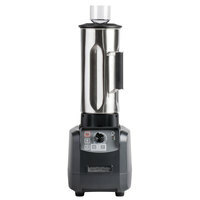 Plus, thanks to its all-metal drive coupling and stainless steel blades, it's great for your recipes that include lots of thick foods with very little liquid like salsas, dips, and chopped foods. 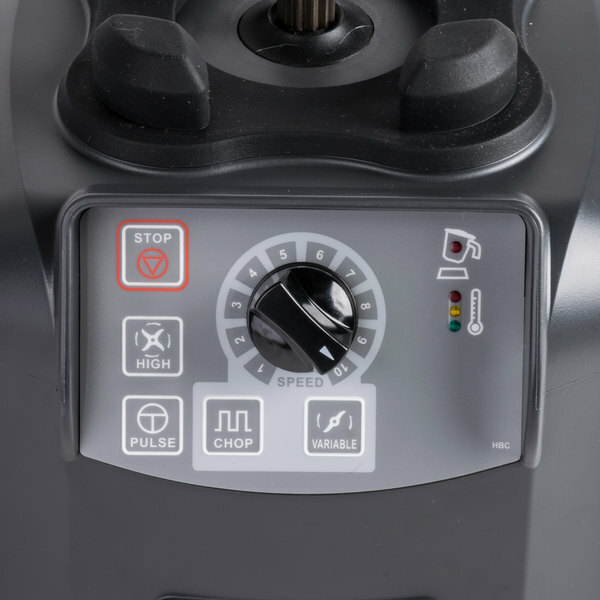 This unit's one-touch chopping function is easy to operate, while the variable speed dial can be used for more control over the blending process. The 64 oz. 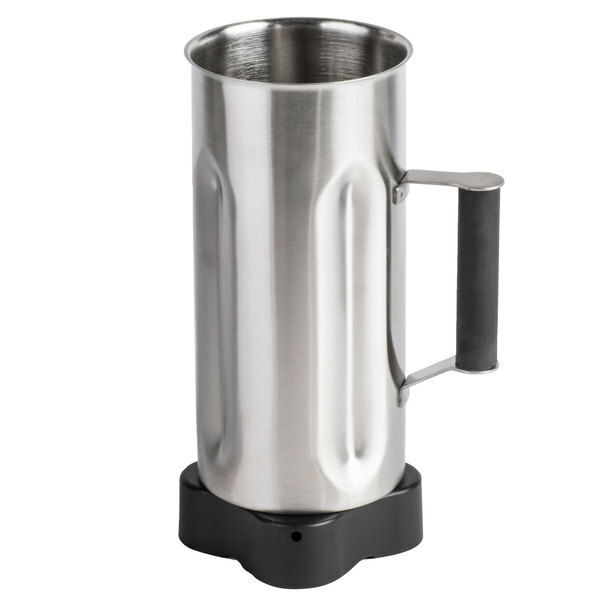 stainless steel container is easy to clean and features a single handle for quick emptying. 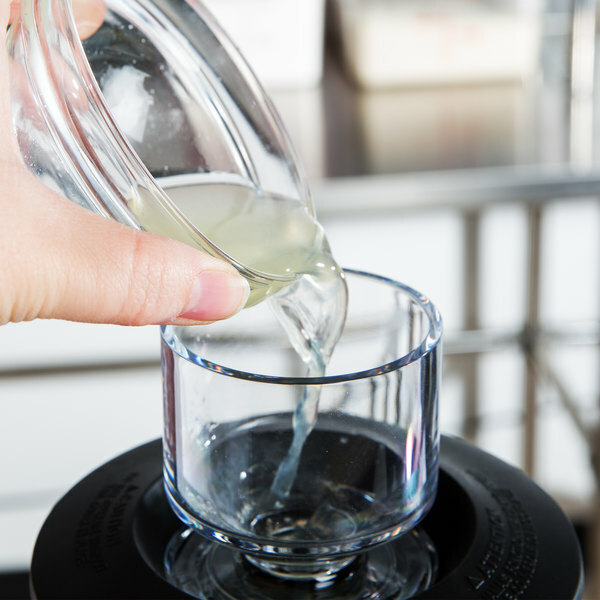 The convenient dosing cup lets you easily add ingredients to your mixture while your blender is in use. For safe use every time, a jar pad sensor and lid interlock check to make sure a jar is mounted and the lid is in place before the blender can be activated. 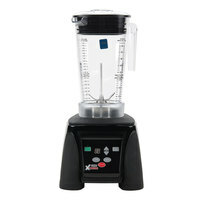 And thanks to its Sure Grip feet, this blender operates without skidding or marking up your countertops. In addition, the container and blades are fully removable from the base for quick and easy cleanup. Replacing the clutch/drive coupling on your high-performance blender is a snap after you watch this visual, step-by-step demonstration video! 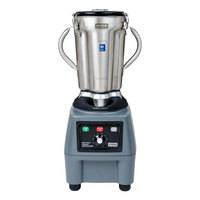 Fury (HBH550), Tempest (HBH650), Summit (HBH850), and HBF600 Series Blenders. Replacing the clutch/drive coupling. You'll need a 13 mm Allen key and pliers. Unplug the machine. Turn the machine on its side. Insert the Allen key through the bottom into the motor spindle. Grip the drive coupling with pliers. Turn either counter clockwise. Finish unscrewing the drive coupling. Installation. 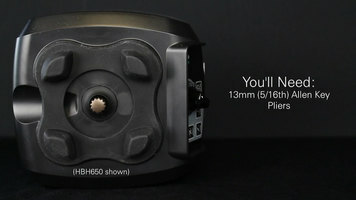 Screw on the drive coupling until hand tight. Thank you for your review, Thomas. 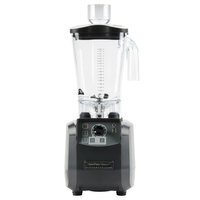 We are sorry to hear that this blender has not suited your needs. A Customer Solutions Representative will remain in contact with you to make sure you receive a new unit.